RE/MAX Fine Properties strives to make your home buying experience a positive one. Let award winning real estate agent Craig Mernitz help you find the home that will meet all your needs. Buying a new or pre-owned home requires an in-depth knowledge of the local market as well as a broad understanding of real estate market trends. Today it’s easy to find specific properties that meet your criteria just by going online. But consideration of the finer details still requires feet on the ground, whether they’re yours or those of your trusted real estate partner. 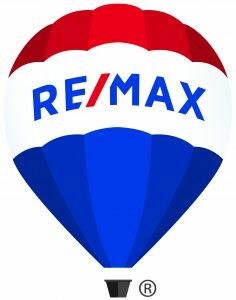 At RE/MAX Fine Properties, we give you the tools to start your search through our general search functions, help you identify specific areas of interest, and present every option available to you. We become your eyes and ears to help you find the perfect location and home. Getting pre-qualified for a loan will help you understand your options for a down payment and focus your efforts on your property search. Your lender will request personal information, such as your last two years of’ tax returns and your most recent two pay stubs. Your lender will process your credit report, ask you to complete an application and then investigate various loan program options. Loan options include government-backed loans through the Federal Housing Authority (FHA), Fannie Mae and Freddie Mac, all offering lower down-payment options. Conventional loans usually require a minimum of 20% for the down payment. Adjustable rate loans allow you to pay a lower monthly payment during the first few years you own the home, then the rate can increase based on market conditions. It’s tempting to look for a home that has everything you desire. but keep your budget and requirements realistic. Make a list of the essentials—number of bedrooms, baths, and garage spaces, commuting time, and distance from schools and shopping. Once you’ve settled on these basics, you can add some of your desired items such as a pool or a larger lot. When you know what you can afford and the essentials you must have, find an agent and begin your property search. As you tour homes with your agent, make notes on each house you visit (what you liked and didn’t like) and share the information so future home tours will be more targeted. Find your ideal home? Then it’s time to make a purchase offer. At this time, your agent will review the Arizona Purchase Contract with you and help you submit a pre-qualification letter from your lender. When your offer is presented to the seller, the seller may issue a counteroffer to the price or terms you offered. Your agent will help you review any counteroffers and discuss the implications with you. When negotiations are completed between you and the seller, it’s time to provide an Earnest Money deposit to the title company which can be used to pay for part of your down payment or closing costs. This is the time to perform a home inspection using a qualified inspector for general inspections or more targeted inspections for termites, structural damage, roof condition, electrical issues and other areas. Once you have reviewed the inspector’s report, you can ask the seller to make repairs and depending on the owner’s response, you can decide if you wish to move forward with the purchase. During this period, you will also finalize your loan and lock in your loan rate by signing the closing paperwork at the title company. Don’t hesitate to ask questions at this time. This is a significant financial transaction so it’s important that you understand your commitment. A few days before the scheduled close of escrow date, your lender must send final loan numbers to the title company which will prepare a Settlement Statement. This will indicate the amount of money needed to bring to the closing table. Once all paperwork is signed and your down payment and the remainder of the purchase price from your lender have been received, the title company will record the transfer of the property from the seller to the buyer. This is considered the official Close of Escrow and you will receive the keys and move in. This is also the time to plan your move. Give yourself a day or two after the close of escrow before you hire the moving company and contractors. If you plan to hire movers, contact them at least three weeks prior to your scheduled move as moving companies tend to get booked quickly at the end of each month, Organize your packing to make it easy to get to items upon settling in. Purchase packing supplies and pack non-essential items early. Label each box with a general description of its contents and indicate the room to which it should be taken.